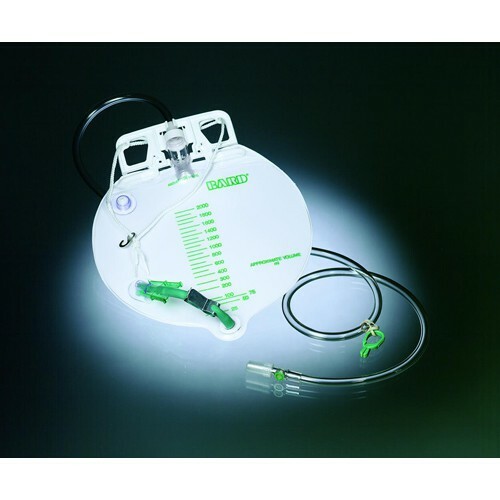 Bard Medical is a leader in medical supplies, and has really gone above and beyond with the creation of the Bard Bedside Drainage Bag. Claimed by many to be the best on the market, it has many conveniences and safety features that give you the best possible experience, time and time again. With convenient details like the rounded teardrop shape, making it easy to clean due to efficient drainage, you will love this bag. This sturdy bag comes with either a double or single hook hanger for if you need to carry it with you on a walker or a wheelchair. It comes completely sterile and is latex free, preventing the possibility of a reaction to the vinyl material. In addition to the convenience of this drainage bag, it also decreases risk of infection. It is bacteriostatic, meaning it has been injected with an anti-microbial to lower and avoid the risk of a CAUTI (Catheter Associated Urinary Tract Infection) and has a microbial outlet tube to protect the drainage bag from the possibility of contamination. 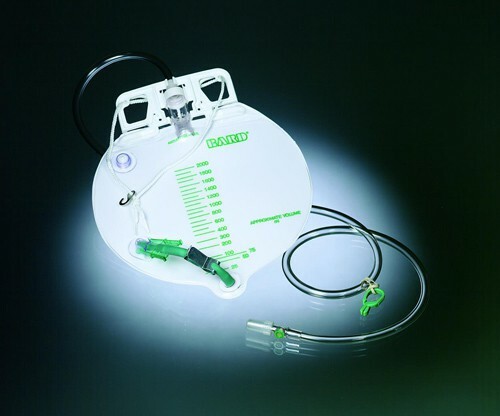 For additional health protection, the anti-reflux chamber prevents urine from going back into the drainage tube, preventing leaks and keeping things sanitary. Similarly preventing spills and leaks is the safety-flow outlet preventing splashes when cleaning out the bag. Bard Medical has also created the EZ-LOK Port to prevent accidental needle sticks with needle free aspiration. Can these bags be used for an ileostomy as well? The manufacturer does not recommend this item be used for such a procedure. For a list of items that can be used, please visit the following page: www.vitalitymedical.com/catalogsearch/result/?q=ileostomy. Some additional information was added to the product description. Please contact the manufacturer for further instruction. I like the sturdy construction and double hangers. It is a good size for overnight use. Well made product. My husband wears the 4000 ml bag at night so he does not have to get up 4 times a night to empty his smaller bag. This large bag has been a life saver for him. I'm very happy and fortunate to find such a high capacity drainage bag. Since I am bedridden most of the time and am unable to empty the bag myself, this product is a lifesaver because this bag is large enough to hold quite a bit of urine whereas it does not require to be emptied all night long and well into the early morning. I used to have to control the amount of liquid that I drink for fear that the other smaller bags would quickly fill up but not this one! Also, having a neurogenic bladder can be especially dangerous if my drainage bag gets to full which results in the urine backing up into my bladder and not only causing infections, but also other serious and life-threatening medical complications such as "Autonomic Dysreflexia." However, this particular drainage bag greatly reduces such incidences and I highly recommend this product. In fact, I now receive a regular subscription delivered to my home address. This bag may last a day or two or even a week--- but not 30 days. I ordered catheter bags from Vitality Medical. The product arrived very quickly. I am extremely pleased with the fast delivery and the reasonable price I paid for this product. Will definitely use again. I ordered bedside drainage bags. The order was shipped quickly and I received exactly what I ordered. Good service! The clip to drain is easy to use and it is also easily opens if or should i say when you hit against a chair leg. It would not be a problem if the green end thing actually retained a plug that did not allow pea to escape. Do not understand the warning not set the bag on the floor. When sitting in most chairs in order for the bag to be below your waist means that it will be touching the floor. If you keep the bag clean what is the problem? Attaches very easily to my husband's wheelchair. Use them daily and nightly. good product, use this for 6 years without any problems.